Styling Magazine by Coty Farquhar - Australia: . For only two weeks a year my beautiful apple tree blossoms. there are only a few tiny little blossoms left. Last week I had such a wonderful time creating this setting. all together on my table surrounded by blossom. Coty - I love many, many (okay, all) the details on your table, but I am nuts over that footed pitcher! Do you know anything about it? Oh boy Coty, this is stunning, how I long for blossom, and is that white heather? Beautiful beautiful, I already told you, in my next life I'm going to come and work on your team - just for the fun of it! I really admire your table setting. Everything is just beautiful, clean and fresh. Coty, I was down there last week on a short trip to Aus and got to experience the beauty of the blossoms drifting around in the sky like snow. So pretty! (The tulips looked fab too). 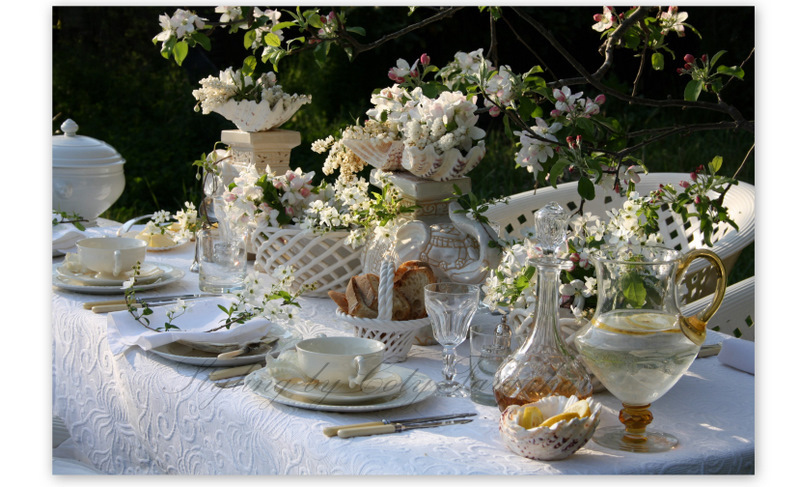 Your garden party is such a beautiful way to share the delight of that season. Thank you! Ciao che meraviglia questa tavola,è stupenda,complimenti!! 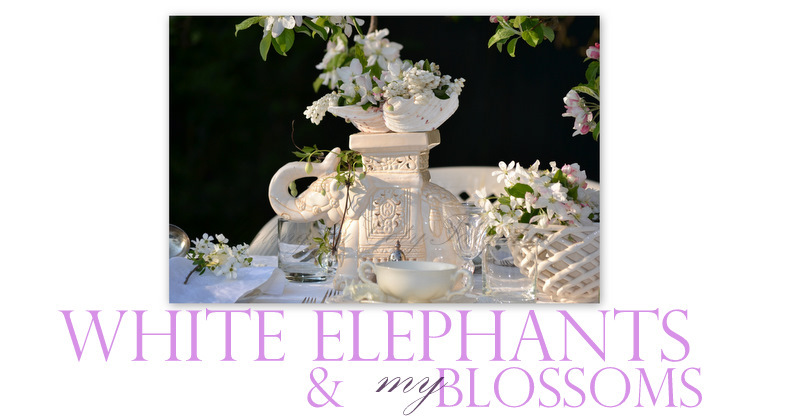 Mi unisco a te come followers,mi piace il tuo blog!! SO BEAUTIFUL !!! i LOVE THE TABLE SETTING! HAVE A GREAT DAY ! Nothing beats beautiful apple blossoms, and I love the way you have showcased them here. The table covering you chose is wonderful!!!!!!! Beautiful setting!!! How absolutely gorgeous. I can even hear the sound of bees buzzing in the tree. Oh Coty...so stunning. I just love it all!